At Space Consultants, we are experts in offering Manpower Recruitment services to clients to fulfill their human resource needs. With the Manpower Recruitment services provided by us, clients will be able to procure the most talented and creative minds who will be potential assets for their company. 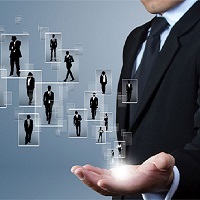 Manpower Recruitment services provided by us are founded on the best practices & HR models in the industry, which is why we are among the respected HR firms in Noida. At Space Consultants, we serve the needs of varied business segments like BFSI, BPO / IT / ITES, Human Resource, Engineering / Technical, Manufacturing / Operations, Education / Training, Retail, Construction, Automobile, etc.